Building a new home can be a long process. From breaking first ground to laying the last shingle, months or even years may pass. Crews rarely have access to nearby facilities while they build, so it’s imperative that restrooms are available during the length of the project. 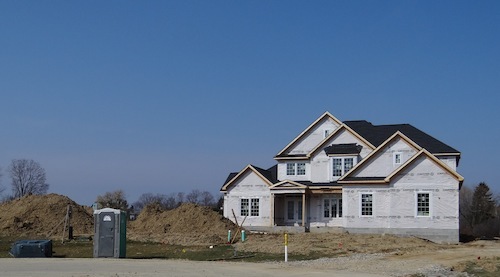 Superior Portables provides restroom and porta potty rentals for new builds all over Northeastern Ohio. We are happy to learn about the length of each project and deliver and pick up our units before and after the project is finished. Even if the project takes longer than expected (not unusual in the building business! ), we can make sure that our units are on hand for as long as they are needed. We service each unit as needed throughout the project, as well. For clean, well-maintained portable restrooms during a new build, contact Superior Portables and request a quote!